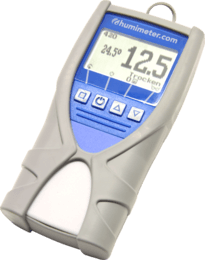 The humimeter Universal material moisture meter is a versatile moisture meter for measuring the water content of a variety of materials. The various sensors the material moisture meter can be equipped with ensure that you can perform measurements with appropriate measuring depth. For operation rod sensor, external resp. customer specific sensor and calibration required.